Hello, PinReach users. Welcome to Tailwind! 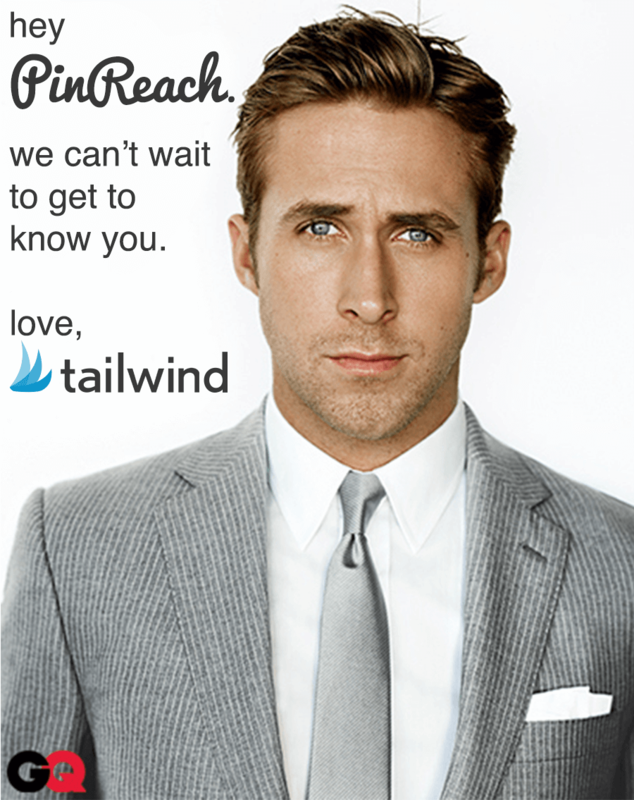 Tailwind has acquired PinReach, combining two innovators in Pinterest Analytics and Marketing. We’re pleased to share that Tailwind has acquired PinReach, an early innovator in the Pinterest Analytics market. Those of you who are familiar with PinReach know it as one of the first Pinterest Analytics platforms not only to be created, but also to be acquired. Last year, Nervewire acquired PinReach from its creators to learn as much as they could about Pinterest on behalf of their clients. Over the past year, however, they came to the conclusion that expanding PinReach to serve a rapidly growing user base ultimately didn’t fit their strategy. So, they decided to find a new home for PinReach that would offer the TLC its 30,000+ users deserve. We’re honored that Nervewire chose Tailwind as the best home for those users. We work hard every day to provide the best-in-class pinterest analytics and marketing platform. That singular focus has led us to become trusted by over 3,000 of the world’s leading brands and agencies as they adopt Pinterest as a key part of their social marketing and communications strategy. We look forward to having the PinReach community join our existing customers in shaping the future of Tailwind. What does Tailwind acquiring PinReach mean for PinReach users? The most important thing this acquisition brings for PinReach users is access to more robust and reliable Pinterest analytics and marketing tools. Pinreach.com has been sunsetted; user accounts will transition to Tailwind. Go to http://tailwindapp.com/pinreach and transition your account. Otherwise, we’ll email you in the coming weeks once your account is activated. Sign up for our weekly Tailwind demo webinar with Melissa and Jessica to learn more about the powerful new features at your disposal. You can use Tailwind for free. We also offer more powerful paid plans for businesses of all size, starting at just $29 per month. What does the PinReach acquisition mean for Tailwind members? In the immediate term, there will not be any changes for existing Tailwind members. Keep on using Tailwind each day to track and improve your performance on Pinterest; that’s what we’re here for. In the long-term, acquiring PinReach will help us provide great new capabilities. For example, we’ve seen a lot of interest in Tailwind reports that identify influencers on Pinterest. This was PinReach’s primary focus, so we’ll be able to go even deeper in helping you build and manage influencer campaigns. Adding PinReach’s membership to the Tailwind family will also help solidify our position as the leading Pinterest analytics platform. Our hope is that this will help us grow faster, meaning we can continue expanding our team and building even better products to meet your needs. What does the PinReach acquisition mean for the Tailwind Team? In short, more work. But that’s good- we like working hard for you! Growing our membership by 30,000+ new users is going to mean that much more responsibility for us and our future teammates. YES, we are hiring! (In case you were wondering) Check out our awesome team and some of the roles we’re looking to fill: http://www.tailwindapp.com/about. Let us know how you want to contribute via careers@tailwindapp.com. We’re very excited to share this news with you today, and about what it means for the future. Naturally if you have any questions, please don’t hesitate to ask: help@tailwindapp.com!